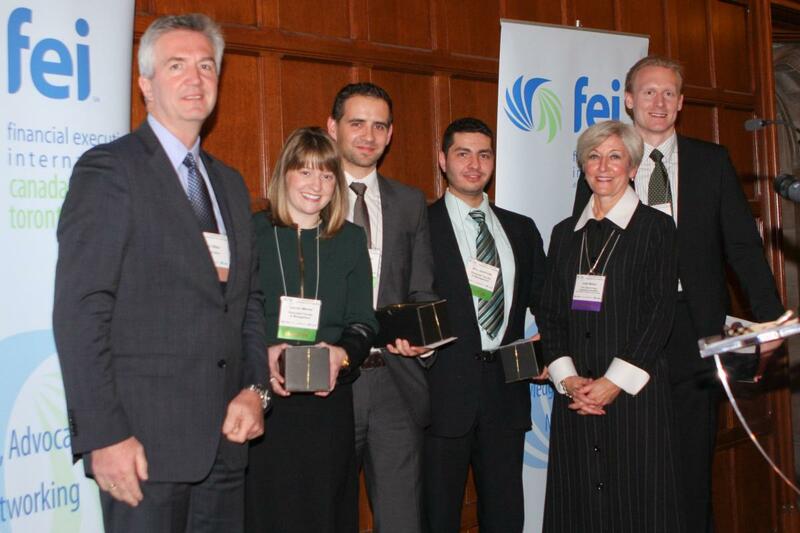 Desautels MBA students, Alaa Abulhuda, Soeren Klatt, Lauren Merkel and Thomas Weber, took 2nd place at the 7th annual Financial Executives International (FEI) Best in Class Invitational Case Competition held in Toronto from November 15-17, 2012. After placing 4th in 2009 and 3rd in 2010, this is our Faculty’s highest placement thus far at this prestigious competition, which includes the top business schools from across Canada. A big congratulations to Alaa, Soeren, Lauren and Thomas for a truly exceptional performance! Special thanks goes out to Professor Richard Donovan, Professor Sujata Madan and Don Melville who helped coach and provide valuable feedback to the team throughout their preparation. The Best in Class Invitational Case Competition is presented by the Toronto Chapter of the Financial Executives International Canada (FEI Canada). FEI Canada is the professional membership association for senior financial executives. The association membership represents many of Canada’s leading and most influential corporations. This year’s case was to identify the key issues that Canadian Tire is presently facing and the strategies and action plans that their Board of Directors should adopt going forward.